A sushi restaurant run by the head of a fisherman's group, with a lineup of fish obtained every morning at the auction. 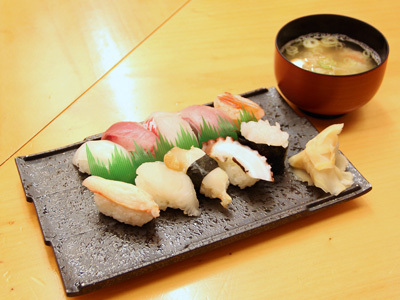 There is an abundance of toppings, and the sushi rice is 100% home grown Koshihikari rice. This shop serves sushi with absolutely no compromises on quality, and it prides itself on its tomalley salad as well.